Things that go bump in the night and other scary stuff! There are millions of different things that we can be afraid of in the world. Some fears and phobias are quite commonplace: for instance a fear of spiders or a fear of heights. Some people very definitely remember how their fear or phobia started. It can be quite straightforward to connect an event or experience with feelings of danger and a traumatic response. An example might be somebody who was involved in a house fire or an explosion. They might develop an extreme fear of fire or flames. It might even develop into a fear of candles or cooking appliances, as they can all become connected in the mind. The anxiety surrounding the original fear often become worse and worse. We often hear the term PTSD and this can create extreme responses. Often this is after an event such as being involved in warfare, a sexual assault, a car accident or other natural disaster. Many times, the frightening or distressing event is replayed in the mind over and over again. This creates more and more anguish. This type of fear can lead to anxiety or depression as it can feel as if there is no escape from it. I can also work worldwide through Skype and other online video methods. There are some fears and phobias that are quite unusual however. It's interesting to note that just because something causes you to be afraid doesn't mean it's dangerous. We can be afraid of even harmless things, like cotton wool or cheese. An explanation of how this type of phobia is created can be when one item or event is unintentionally associated with another. This explains how some relatively harmless things can become terrifying. Your instant reaction would have been one of startle and perhaps fear. 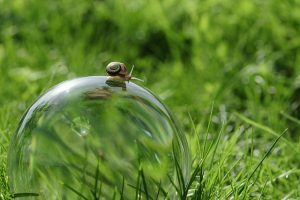 Next time you see a snail (or it could have been a butterfly or a dandelion etc) the subconscious mind will immediately divert to those previous strong emotions. In this way the snail and the sense of fear are now associated in the mind. Years later, you will have forgotten about you mum's encounter with a thorn but the humble snail will have become a symbol of terror! There are two different ways I can work to help you get rid of your fear or phobia. The first way is by using a couple of techniques, known as Rewind and Reframe. By using these technique we can firstly deactivate the response to the phobia during the Rewind session. When we do this, it just becomes an event or memory without an emotion. We can then use the Reframe technique to change your perception of what you are afraid of. This utilises the power of hypnosis to embed the new positive suggestions into the subconscious mind. This reframe provides a strong mental rehearsal of the positive outcome that you want. The second way I can help is by using BWRT (BrainWorking Recursive Therapy). This therapy may quickly and effectively remove all or most of the fear (or whichever emotion is the strongest) surrounding the phobia so that your reaction becomes completely normal. Even long-standing responses may be changed as the neural pathways in the brain are reconfigured to give a new reaction. This response will be the one that you want. Whilst the techniques I use may, and often do, give great results, no guarantees can be given and results do vary from person to person. If you rarely encounter your fear or phobia you might feel that it is manageable and you don’t need any help. However, most phobias don’t get better by themselves and, unfortunately, they often get worse. In this country a fear of snakes, for instance, isn’t too much of a problem but if you were planning a holiday to a more tropical climate you might run into snakes more often. Or you might want to go on an outing to the zoo and your child might want to visit the Reptile House. That can be a real dilemma! There are many ways in which our fears can limit the way we live our lives, day-to-day and it’s also important to remember the impact your fears are having on those around you. Are you passing on your fears to your children? Past clients have told me stories about their fears and phobias and how they avoided dealing with these issues. Driving miles out of the way so as to avoid main roads. Unable to eat many different types of food, so unable to enjoy family meals or look at menus in restaurants. Fearful of vomiting or being around others who might feel sick, so avoiding eating out in public or being near anybody who might be coming down with a cold or virus. Drowning fears, therefore unable to go for walks along the canal, to the swimming baths or near any type of lake or stream. Worried about public speaking, so ruining chances of promotion at work as coming across as timid and unambitious. Terrified of spiders which, for example, involved in-depth room checking every single day, wasting hours of free time and creating obsessive focus. Each time you react to your phobia you will be promoting a feedback loop of fear and anxiety that will make the phobia even more persistent. Therefore, it’s easy to see that your focus and attention is always on what your brain thinks is important to you – so the more fearful you are about something, the more your brain will notice it. Luckily, brain science is evolving all the time, which means we know more now than ever before about getting rid of these types of fears. Therefore, if you want to find freedom from your fear or phobia, please give me a call and we can chat further about how I may be able to help you.